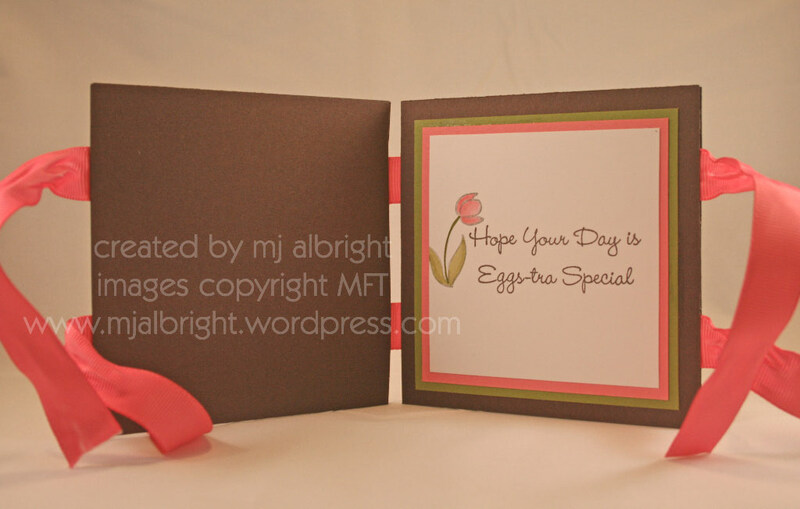 Here are two cards that I made with MFT new release set Eggstra Special Easter. The first one I made for SCS sketch challenge #162. Turned out so soft and welcomes spring weather soon. This set has so many cute Easter images. I love how this bunny appears to be sitting in grass surrounded by tulips (that sparkle–CottonCandy Stickles). 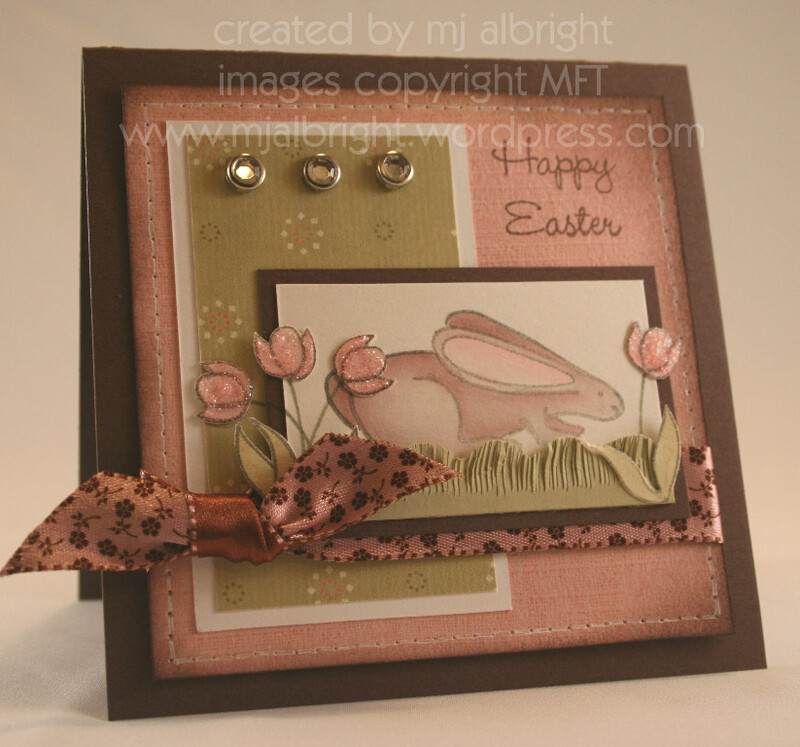 Here is another card made with the same set but features the other bunny. I am trying to have something to post for all the days I will be away at CHA. I have a little bit of everything lined up. Even more twisted sentiments stuff…I will have to have the whole card blurred out on one of them…gesh! Just when you thought you saw it all. There is a real naughty one on its way (will make total sense to you if you attend the MFT release parties). These are just beautiful! Love how you used this set! What YUMMY colors, Mary Jo! Beautiful! p.s. Did you use Copics to color these, and if so, which ones? Forgive me if it’s here and I just overlooked it. How about the DP? I’ll look on MFT to see if I see more deet’s! Thanks! These are beautiful! I’ll have to head on over to MFT and pick up this set! Fabulous!! The colouring is awesome! WOW! Those are AWESOME cards! The detail in the top card is AMAZING! You rock! drop dead gorgeous as always!!! 🙂 you have such a wonderful way of putting cards together!! love that sparkle on the flowers!! Beautiful cards… I WANT this set !! You did a SUPER job!! I got to play with my sets just last night shortly after they arrived! I cannot ait to see what Twisted Sentiments 2 will hold after the other night! rotfmbo just remembering the things we came up with!!! 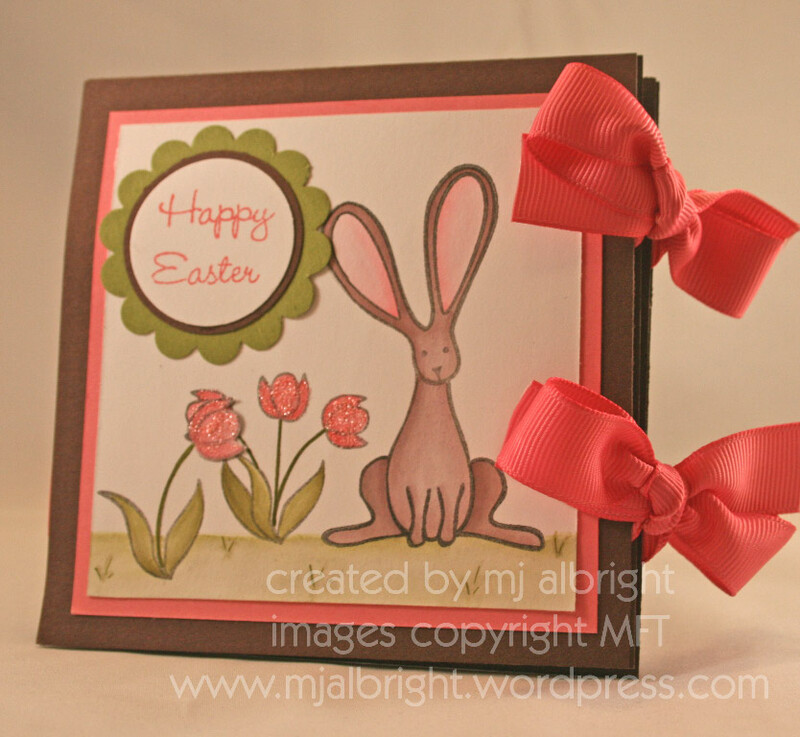 Mary Jo, your cards are so beautiful!!! Great Easter cards!!! These cards are gorgeous! What an adorable stamp set. These are just FABULOUS! I was so gla dto get to mett you at CHA, you talented lady! Oops–that was “glad” and “meet.” My browser at home checks spelling, which makes me careless!